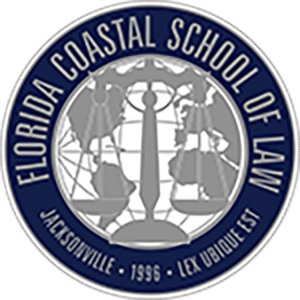 Below you may find the latest reviews for David Hollander Law and how he has helped clients throughout Florida. 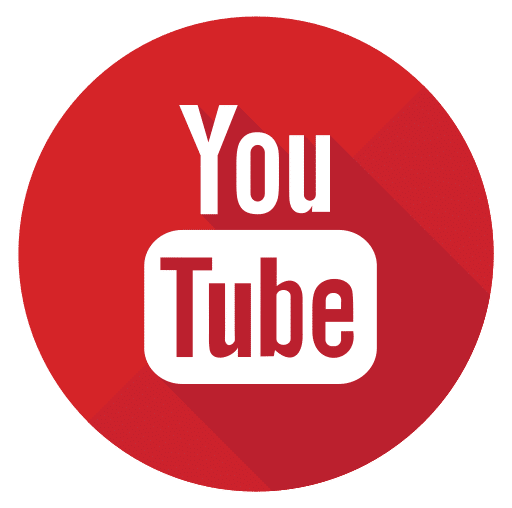 Interested in seeing our Reviews around the web? Making the impossible, possible. When it comes to finding a lawyer to represent you, in one of the most crucial and important times of your life, it can be difficult. Finding someone you can trust, that will work hard for you, and not stop until he gets the result that is in your best interest. David Hollander is that person. He will go above and beyond for you. If you’re risking your freedom, health, or potential compensation. You should take no chances and hire the best person for the job. A little bit about my situation, I was In a very tough predicament. My life, it was In shambles. I took no chances and called David. He has travelled ALL ACCROSS FLORIDA to represent me! He picked me up just to make sure we have no issues getting to court. This man fought so diligently for me!!! He has put me in a better position than I was before and if you want the best chance at a great result, you won’t go wrong putting your trust in him. David is a fierce fighter for his clients, and does everything he can to help them obtain justice. 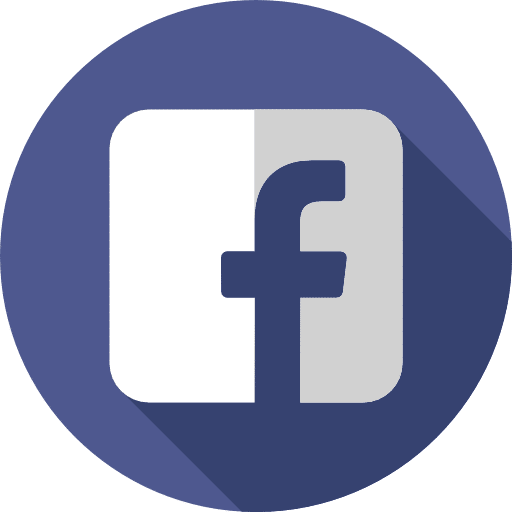 David Hollander recently handled our accident claim and I am pleased to say that the whole process was handled in a highly satisfactory and professional manner. His communication skills are excellent and his knowledge of the law brought our case to a satisfactory end in a very timely manner. I would not hesitate to recommend him to anyone. David was wonderful to work with. He truly was there in my time of need. My concerns were addressed promptly and to my satisfaction at all times. David kept me updated on all pertinent information concerning my case. He was very thorough. He was truly a blessing to work with. If I ever need anything else, he will be the first person I call. David quite literally saved my life. I had a few cases that were following me around for YEARS because I was positive there was no hope. I'll never forget the phone call from David on my way to court telling me everything was taken care of. If I didn't see the many certifications on his office wall I would truly believe he had some type of magic powers! I can never say thank you enough times to show how grateful I am to him for FIXING MY LIFE!! I don't think there's ANYONE better and I'm so glad I hired him to represent me. Best decision I've ever made!! My family and I have turned to attorney David Hollander for a legal help when we needed it the most. Great communication skills- things were explained to us in a way that we could understand. Great responsiveness- the lawyer and his staff returned our calls in timely manner, any possible issues were resolved quickly. I felt like my legal issue was his priority. Working with David definitely worth the expense. THANK YOU. David handled my case in a very quick and timely manner. He fought to get the best end result as possible (in my case, no jail time). He kept me very informed as to what was going on on his side and what I needed to do to help with the process. I recommend Dave too anyone looking for a trustworthy, hard working lawyer. David S. Hollander is a caring, friendly, considerate, & knowledgable person. David is an exceptional lawyer, but moreover I would utilize his services because he cares about his craft & clients deeply. 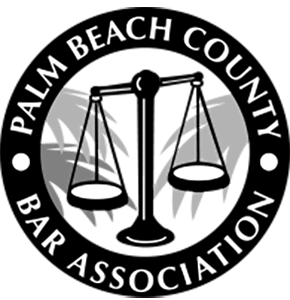 There are a number of lawyers in the South Florida area, but I would 100% work with David because he puts his heart & soul into helping clients. I have also seldom worked with a professional with a Law Degree & MBA! I give my highest recommendation for David, not just for legal services, but as a wonderful person. David is extremely knowledgeable and shares his legal advice in a manner that is relate-able. Regardless of other factors involved, he brings more clarity and focus to the most important and pressing issues since he takes the time to truly listen so that his guidance is more personalized and impact. 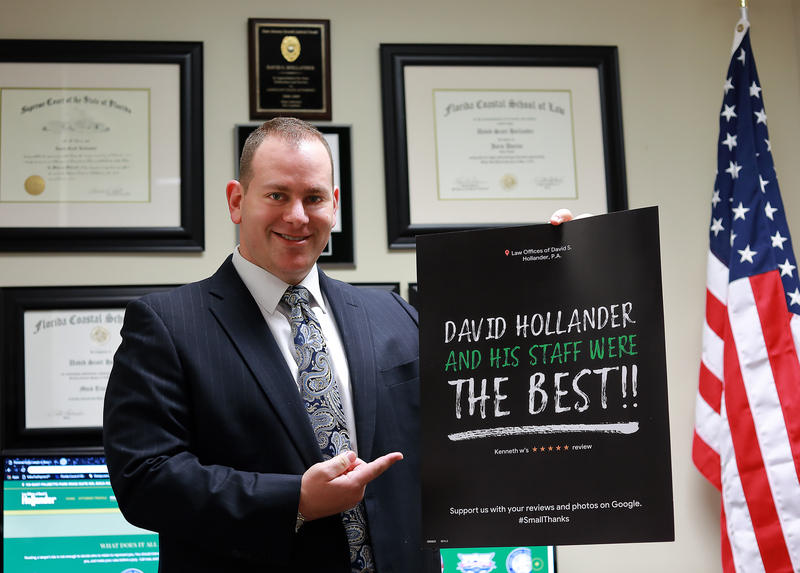 David Hollander is a reliable, dedicated, and dependable attorney! I was able to reach him and communicate with him via email, phone call, or even text and he always responded instantly. He's not only an attorney, but a very caring person and he's dedicated to his clients. He goes above and beyond for you to make sure your case goes as smoothly as possible. I would recommend him to family members and friends. I am pleased to recommend David S Hollander to any legal concern or issues you may have. I was trying to help my boyfriend with a legal concerned and I posted it on his website. Sure, enough he contacted me immediately. After we went thru the details of the case I received excellent advice on how to proceed with the case. He exceeded his expectations and I’m confident to follow through with his advises and his help. I feel highly confident in referring David S Hollander Law Firm to others. You will be very pleased. David took over my case about half way through and I couldn’t have been happier. I wish I had known about him to start with. He was very knowledgeable, personable and efficient. He always answered or returned my calls within a timely manner and took the time to make sure I understood what was happening in every scenario. I would recommend him to anyone who asked and would most definitely use his services again if ever needed. He totally understood my case, and I felt a nice rapport with him. He has a great sense of humor, and yet he’s a lawyer. Lol. You know the joke, “What’s the difference between a snake and a lawyer? There are skid marks in front of the snake.” Well, you won’t want to run him over. I won! He’s a winner! I will use him again next time I commit a crime and get caught. 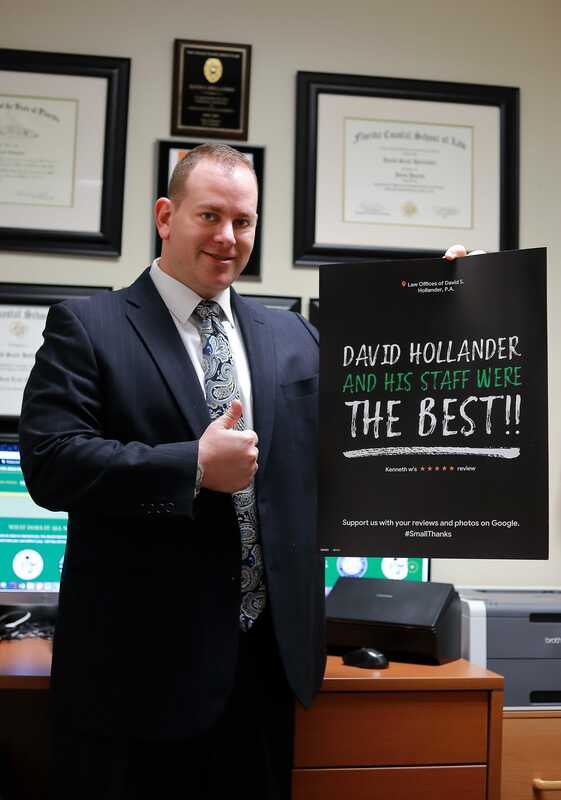 I'm very fortunate to have found David Hollander through a referral. I can't say enough about him. It was nothing but a positive experience. When I made the initial phone call he was friendly and took the time to talk with me at length. Even if he had not taken my case, the information he gave me was invaluable. He knows his stuff. He always let me know the steps he was taking to resolve the issues and answered any questions right away as they came up. David even managed to resolve the matter faster than I expected. I wouldn't think twice about referring him or using him again. I spoke with David Hollander directly and was astonished at how helpful he was. He educated me on my situation with no thought of compensation just true genuine concern. I would highly recommend him for any and all of your legal necessities. I am truly pleased to recommend David S. Hallander for any legal concerns one may have. He helped my son when our traditional attorney gave up and showed little or no interest. He successfully obtained the results we were looking for after years of trying which covered the outstanding medical bills. David went above and beyond the call to see that this was settled and he never gave up in his efforts. Thank you David, you are an exceptional attorney. Amazing professionalism. David is down to earth and actually turned me away as a client by being honest about my options and best route. Would DEFINITELY use him if needed in the future.